See the iconic temples of Angkor in a new way with our official Angkor Temple Guides who are fully-trained expert birding guides. Or venture out to Sambor Prey Kuk to find the recently discovered endemic – the Cambodian Tailorbird. For a relaxed day of viewing the remote and less-visited temples in the countryside around Siem Reap with the chance of seeing some high-quality rare birds why not join us for a trip into Angkorian culture? 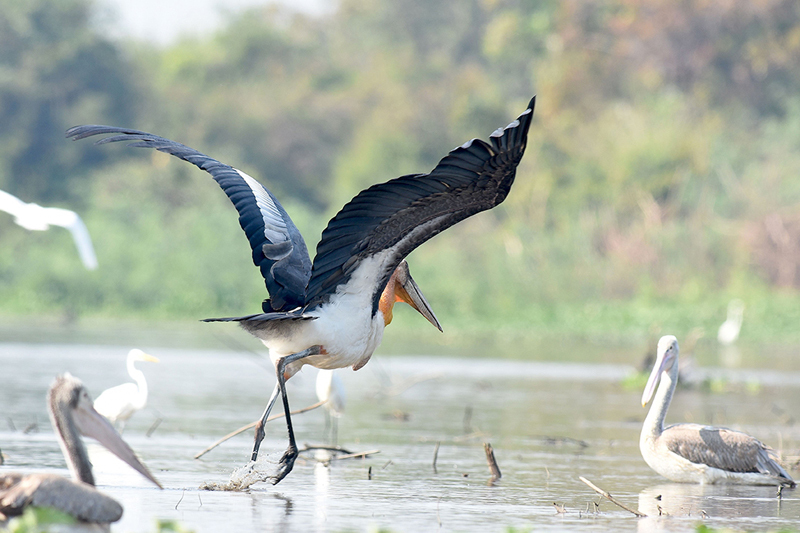 In 2012 a new bird species found only in Cambodia was discovered. The bird, named Cambodian Tailorbird Orthotomus chaktomuk occurs only in floodplain wetlands where the mighty Mekong River meets the Tonle Sap and Bassac Rivers. This area was known by the ancient Khmers as Chaktomuk, which literally means ‘4 faces’ which was used to refer to the confluence of these rivers. This area is also excellent for open-country species such as Plain-backed Sparrow and we often see large waterbirds such as Oriental Darter and Painted Stork. In the scrub in which the tailorbird is found we should also see a range of winter visitors, such as Black-browed Reed-warbler, Brown Shrike and Siberian Rubythroat. The Sam Veasna Center has a number of sites where we are guaranteed sightings of this newly discovered species. Although the Cambodian Tailorbird is small they are very bold, and usually approach very close to observers; photographs of the birds are possible. 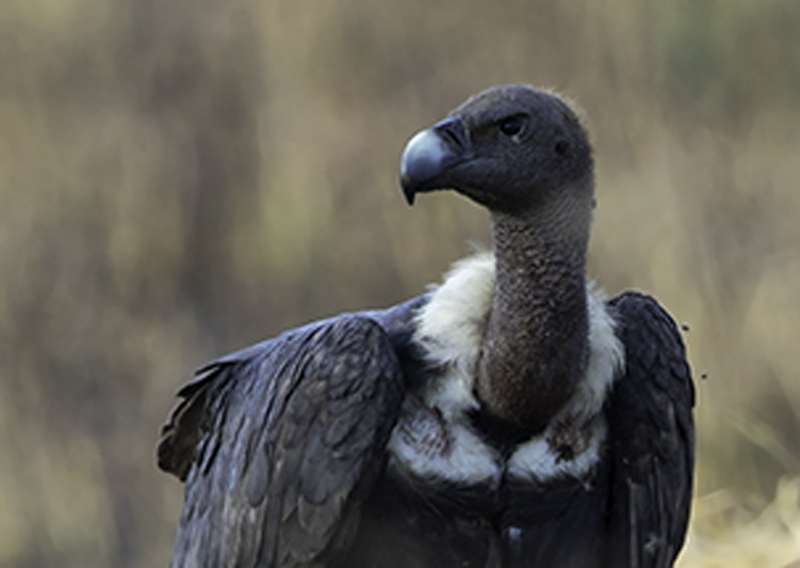 It is possible to see this species as part of a one-day tour with an English speaking SVC birding guide, combined with the rarely visited Sambor Prey Kuk temple. Sambor Prey Kuk is a complex of pre-Angkorian temples located about 25 kilometers northeast of Kampong Thom town, 150 km southeast of Siem Reap. It was once the capital of the Chenla Kingdom named Isanapura, and a religious center for the worship of Shiva Brahmanism. So far, 140 temples have been discovered at Sambo Preykuk. They were constructed during the reign of King Isanavarman I (AD 616- 635) in the 7th century. The temples at Sambo Prey Kuk are constructed of solid brick, laterite and sandstone and decorated by bas-reliefs. There are many prasats, octagonal towers, shiva lingas and yonis, ponds and reservoirs and lion sculptures. The temples are set in park-like woodland, which makes for easy birdwatching. 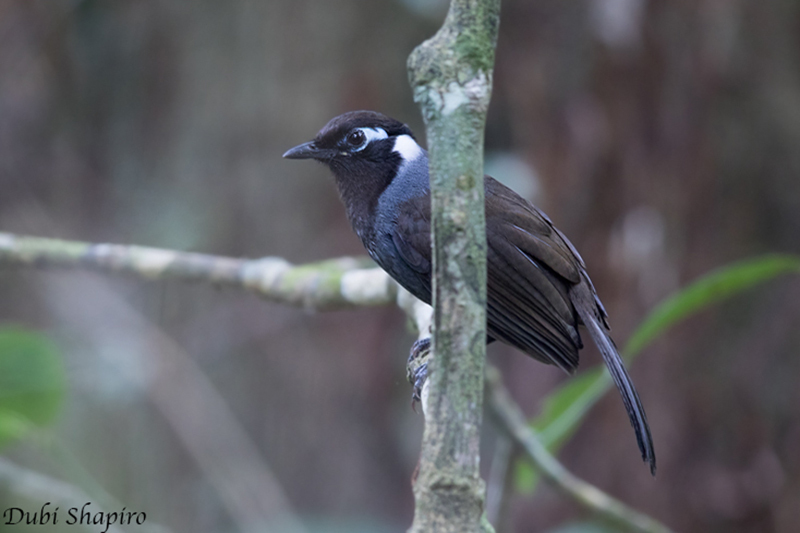 Whilst admiring the temples it is possible to see a range of bird species including Oriental Pied Hornbill, Shikra, up to four species of beautiful bulbuls White-rumped Shama Crested Serpent Eagle, Scarlet-backed flowerpecker, and a lot more in winter time. Temple tours start early in order to catch sunrise, but the details of the tour are based on our client’s interests.